Canonical may have abandoned the development of Ubuntu Touch mobile operating system. But the project remains active thanks to Linux’s community of independent developers. 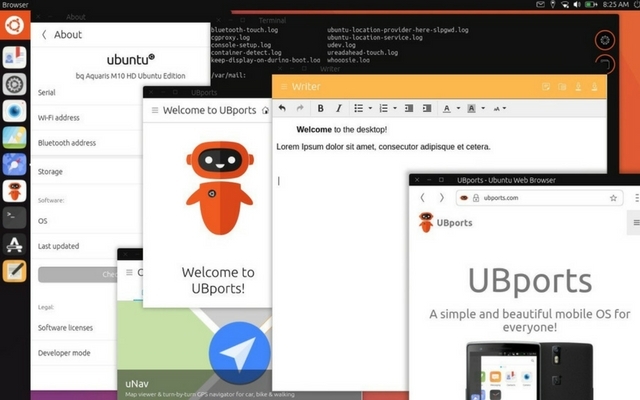 Crucially, one such set of developers, the UBports community, is working hard to solve the biggest complain for Ubuntu Touch – the lack of apps. Recently, the group announced progress in the development of Project Anbox for mobile devices, which could result in a a minor resurgence for Ubuntu mobile fortunes. Anbox, which is short for Android-in-a-Box, is a feature that will allow users to use Android apps on devices running Ubuntu Touch. According to the community, a pre-alpha version of the feature will soon be added to Ubuntu Touch OS. However, it is worth noting that it is already available for Ubuntu desktop, and you can install it on a PC to check out the experience. Simply put, Anbox allows users to run Android apps on any GNU/Linux operating system. It uses a container-based approach for improved stability and performance. Unlike an emulator running Android, this approach needs fewer system resources as it abstracts hardware access and integrates into the core system services of GNU/Linux. Considering the fact that there aren’t a ton of modern apps available on Ubuntu Touch platform, this approach makes a lot of sense. This will hugely benefit the developers as well since they won’t have to port their apps to a new platform altogether. Overall, the excitement around Linux-based non-Android mobile OS has not reached the peaks of 2013 and 2014, but 2017 saw quite a few projects being announced, such as the postmarketOS, Librem smartphone platform and other projects such as Sirin Labs’ new smartphone. Project Anbox just dropped in as an icing on the cake. But the biggest challenge remains proving that such mobile OS are a viable mass-market alternative to Android or iOS. If Anbox development stays on track, 2018 could be the year for promising Android alternatives based on Linux. Have you tried out Project Anbox? And what are your thoughts on open source Android alternatives for mobile platform? Shoot your thoughts via the comment section down below.